We analyze electronic voting schemes and show that in many cases it is quite easy to implement a kleptographic channel, which is a profound danger for electronic voting systems. We show serious problems with Neff’s scheme. We present also attacks on Chaum’s visual voting scheme and some related schemes, which work at least when implementation is not careful enough. partially supported by KBN grant 0 T00A 003 23. The e-voting project web page. 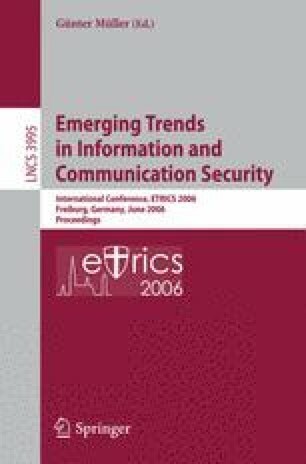 [cited 10 January 2006] Available from, http://e-voting.im.pwr.wroc.pl.